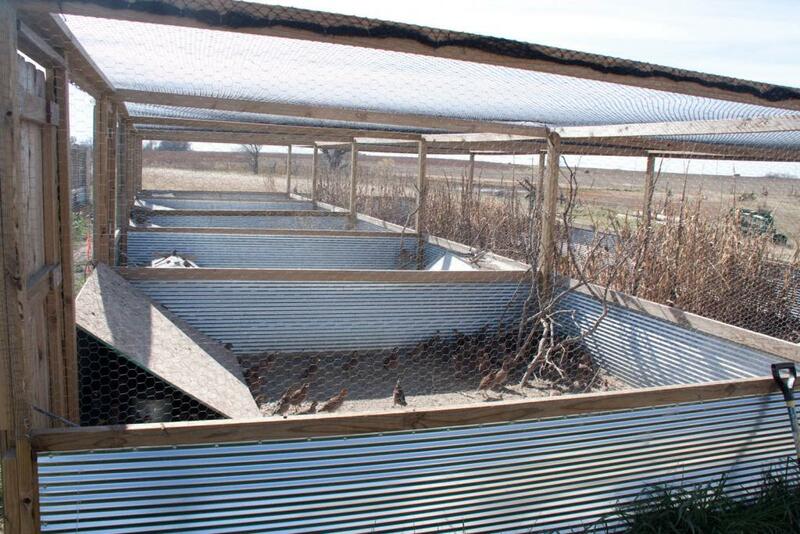 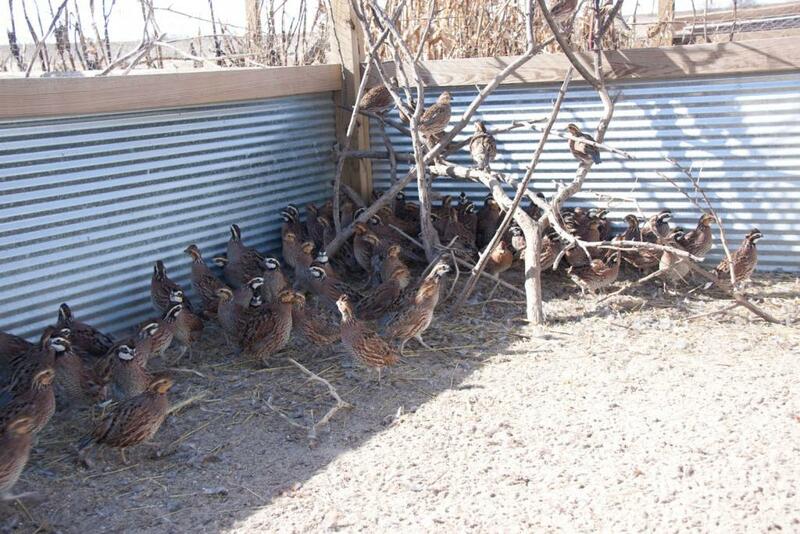 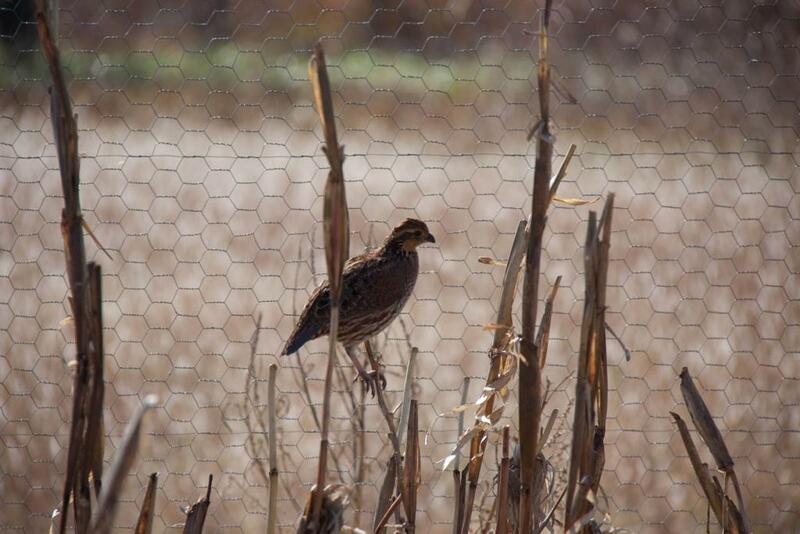 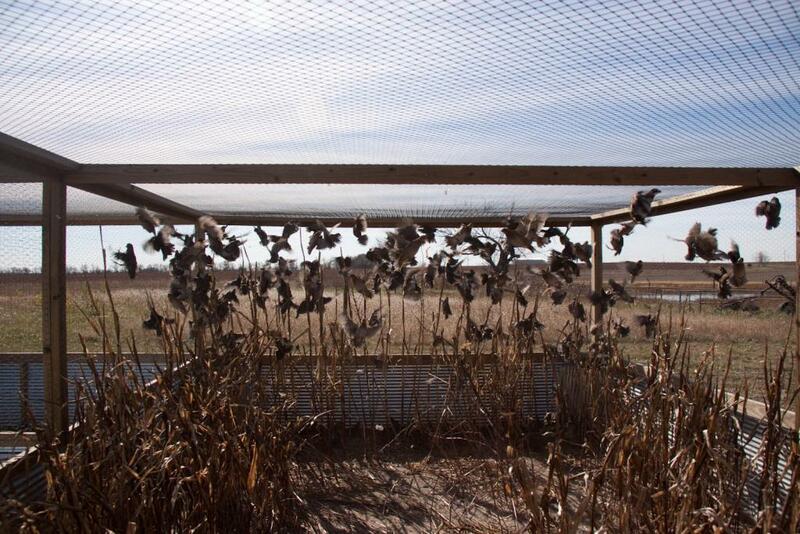 Kansas Game Birds offers quality, nurtured BobWhite Quail for sale in Kansas and the surrounding states. 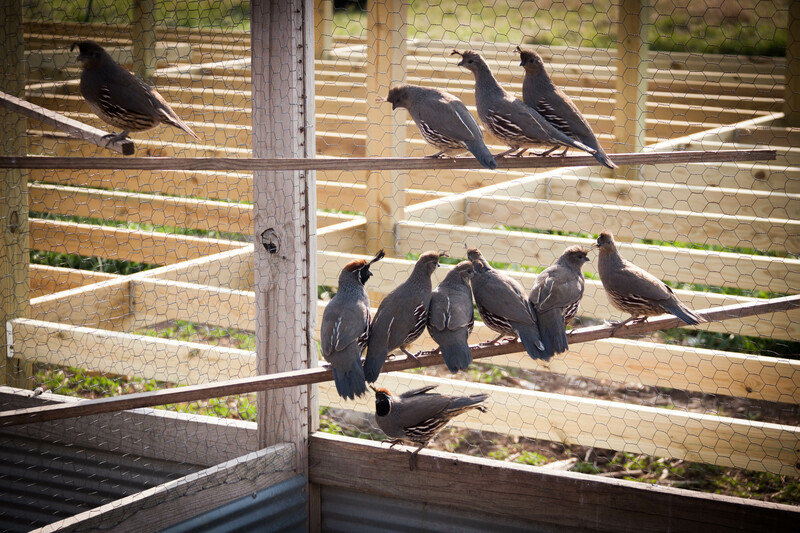 Our birds are healthy, well cared for and ready to fly! 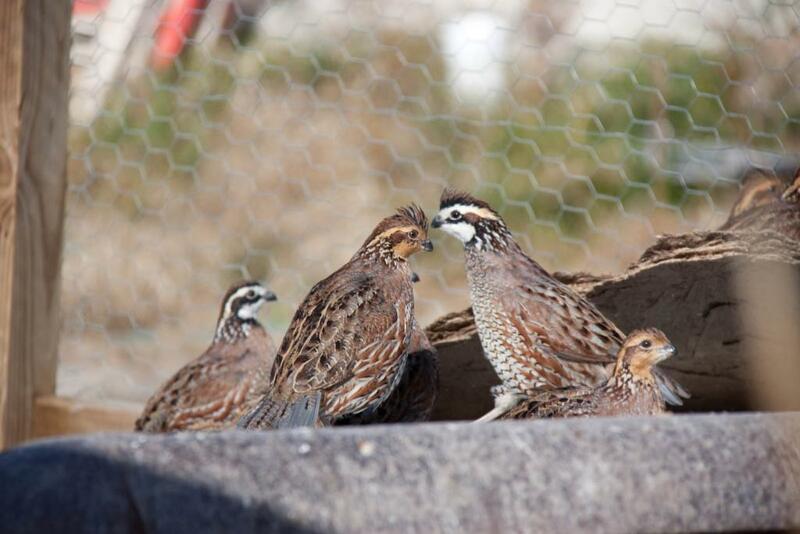 Because our quail are flight ready, they are perfect for training dogs to become keen on their hunting senses. 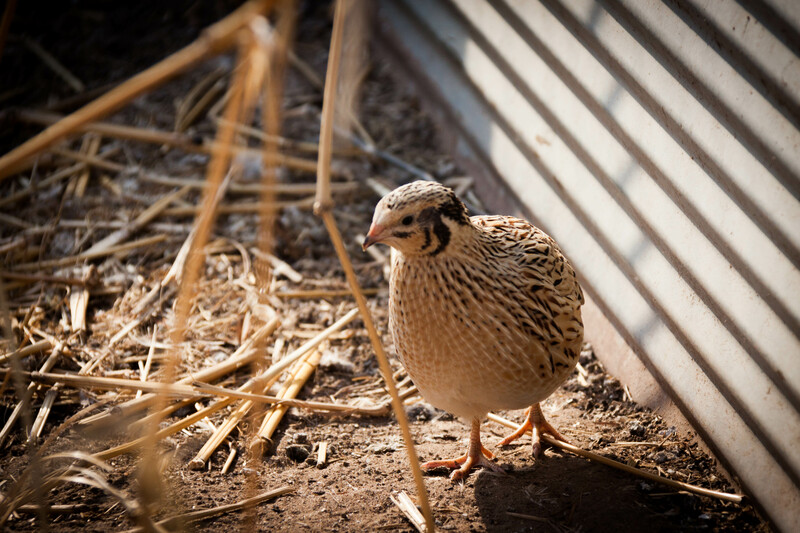 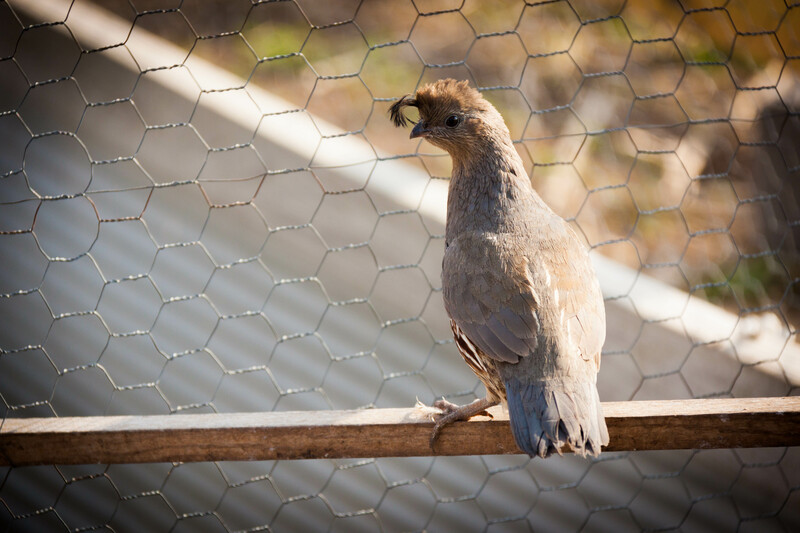 Our quail are bred in-house with new batches of eggs regularly introduced from various trusted outside sources to keep inbreeding to a minimum . 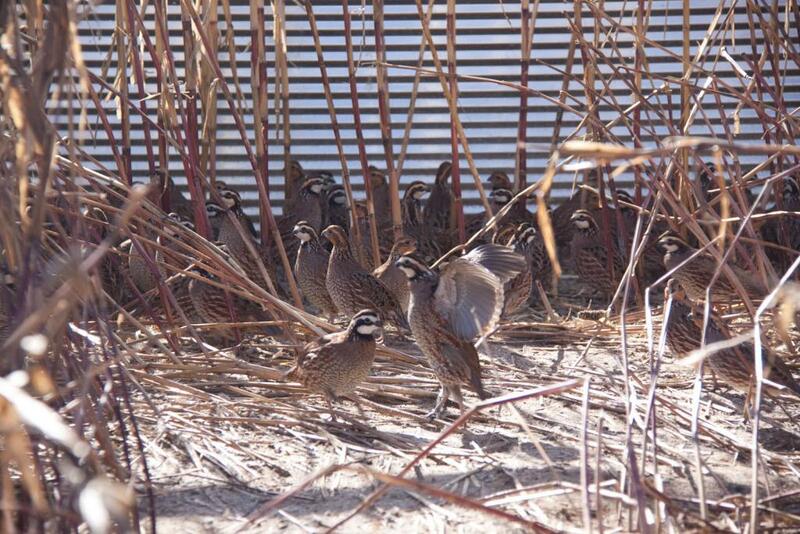 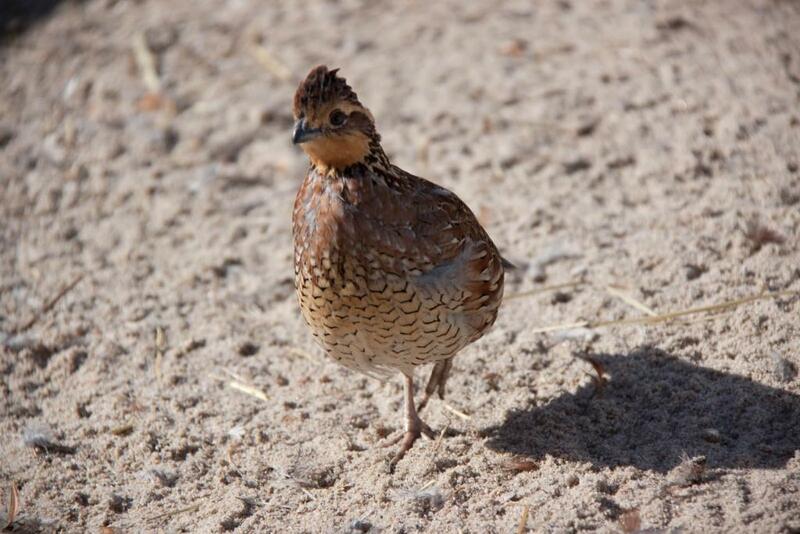 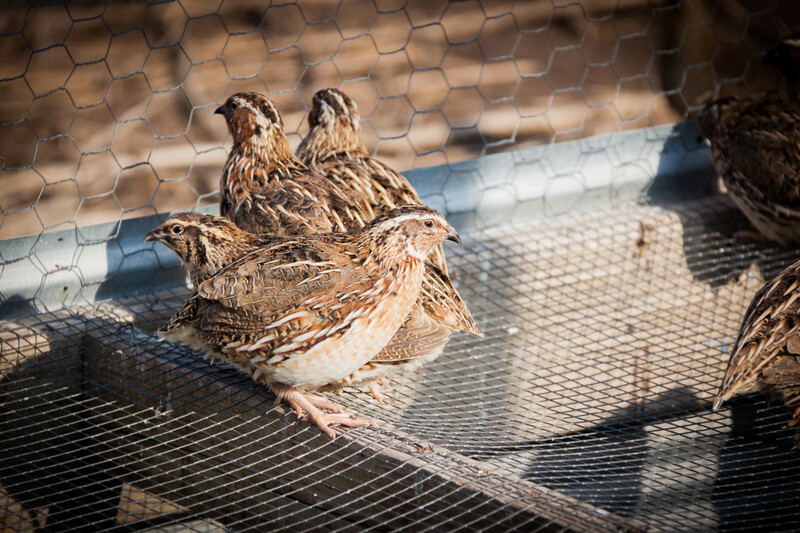 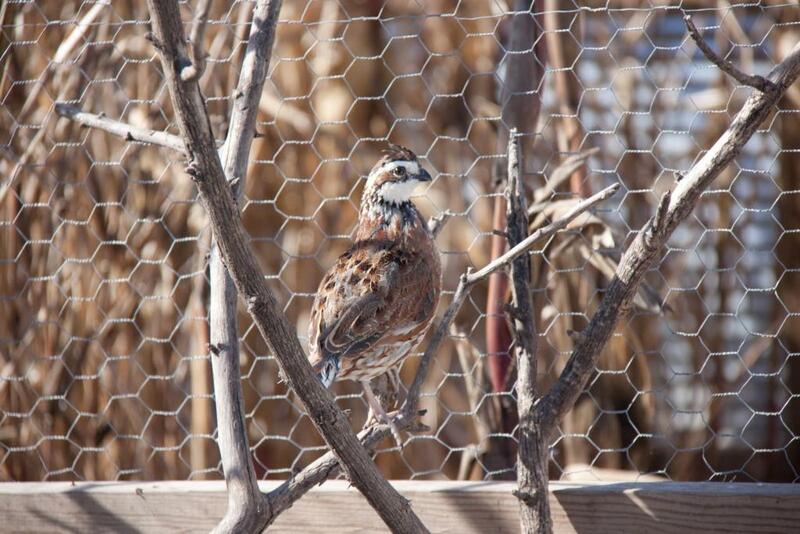 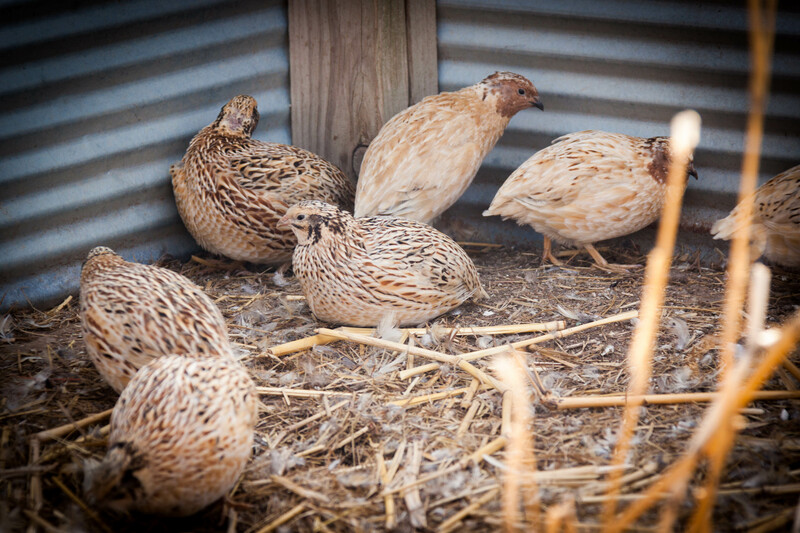 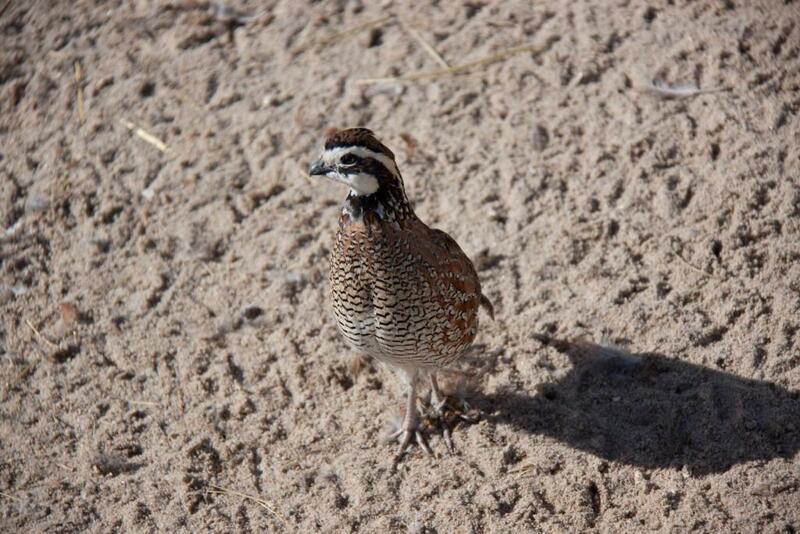 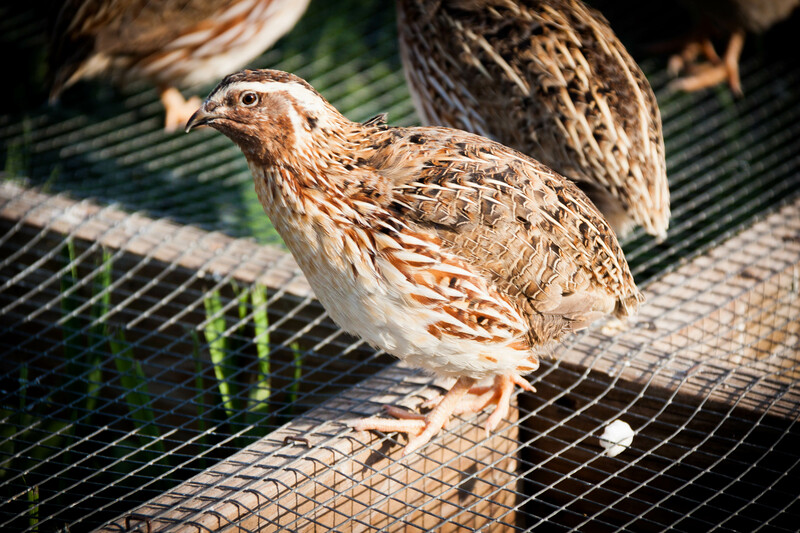 Our normal line of quail that we produce, is the northern bobwhite quail. 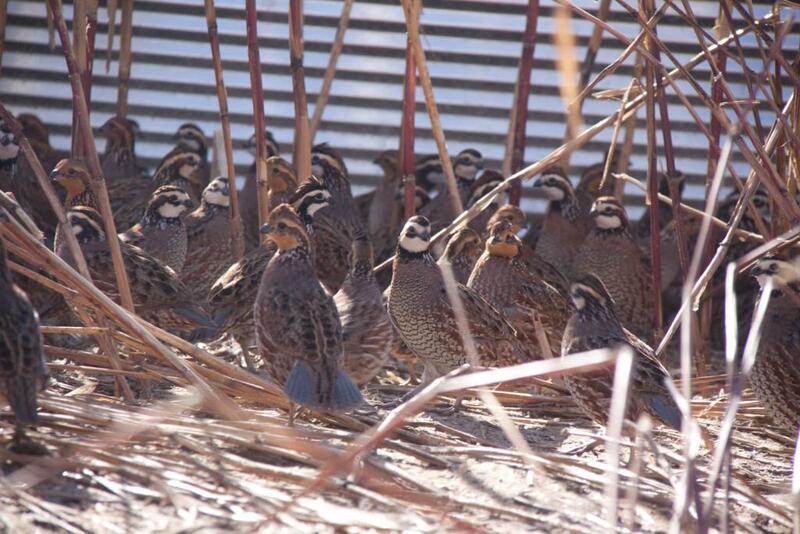 Native to the Kansas area, these are generally the most commonly hunted species of quail in North America. 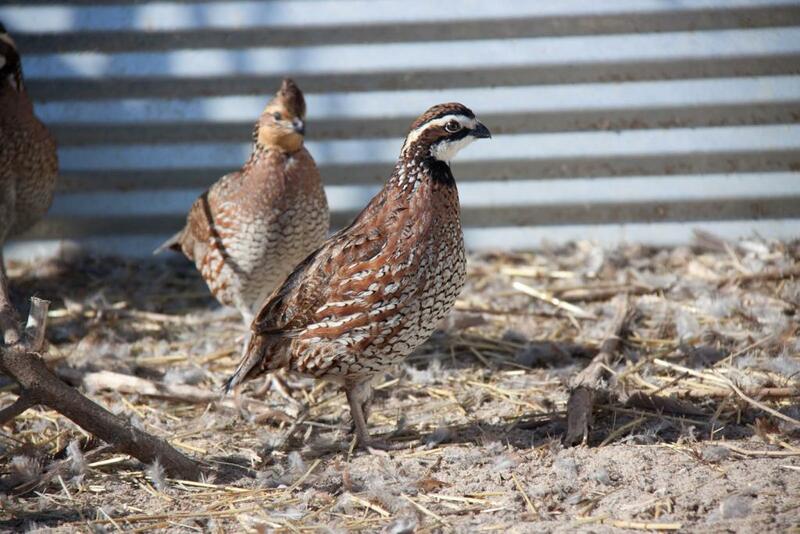 The bobwhite quail is a fantastic all-around bird. 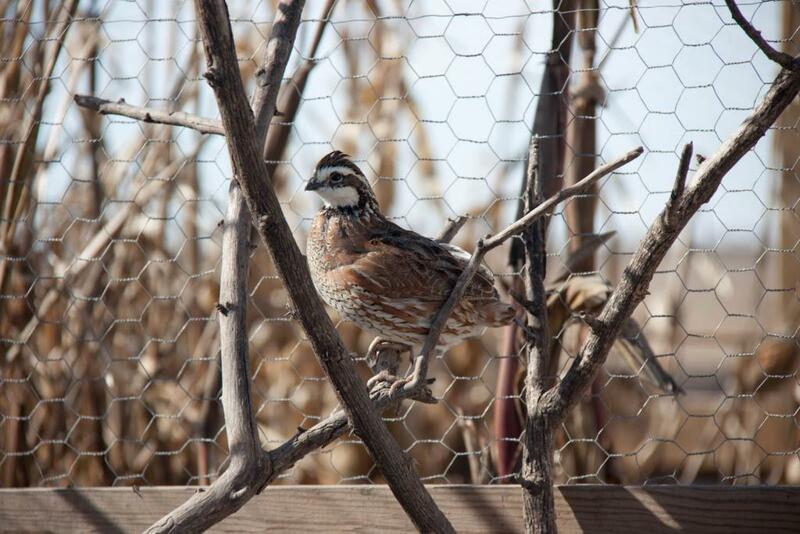 The northern bobwhite is a flight ready bird that is fun to hunt and great to eat. 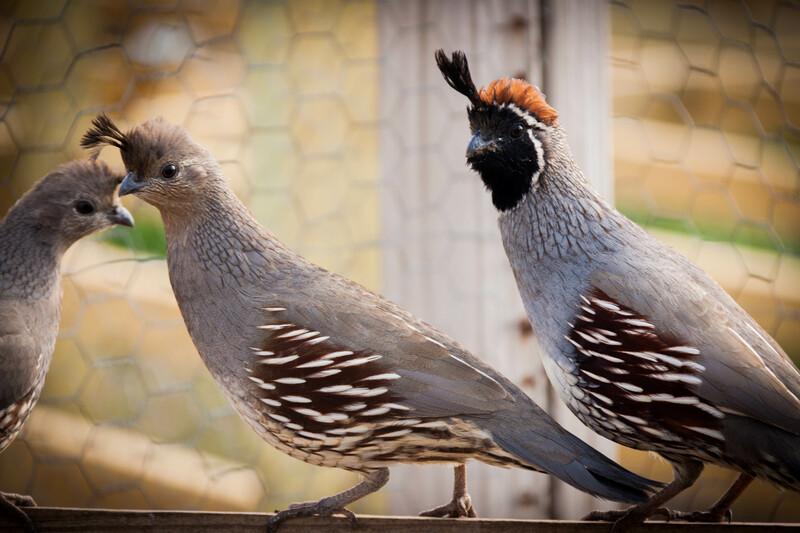 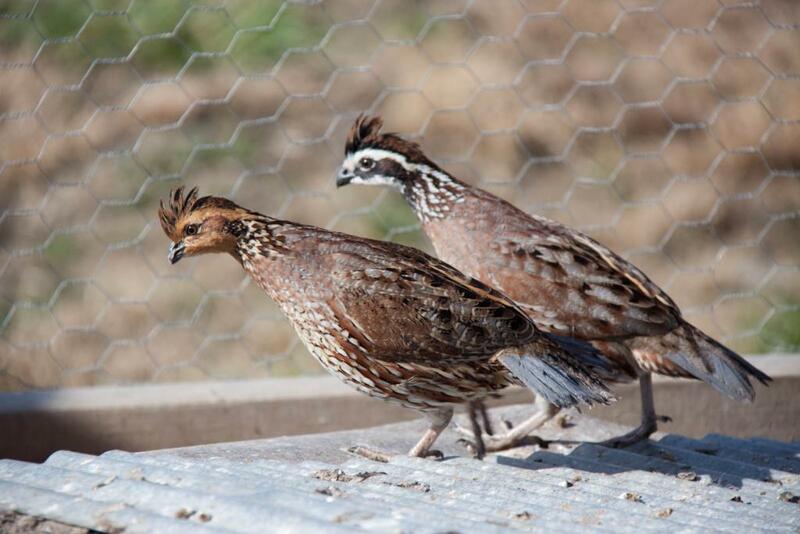 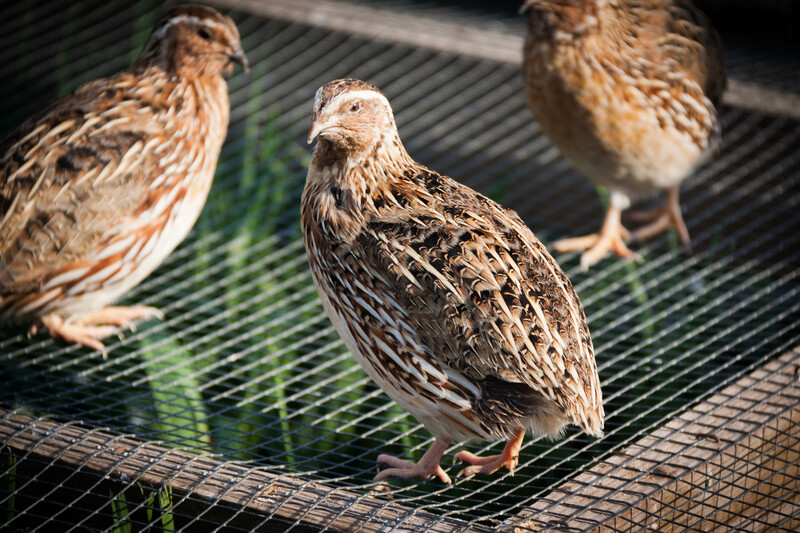 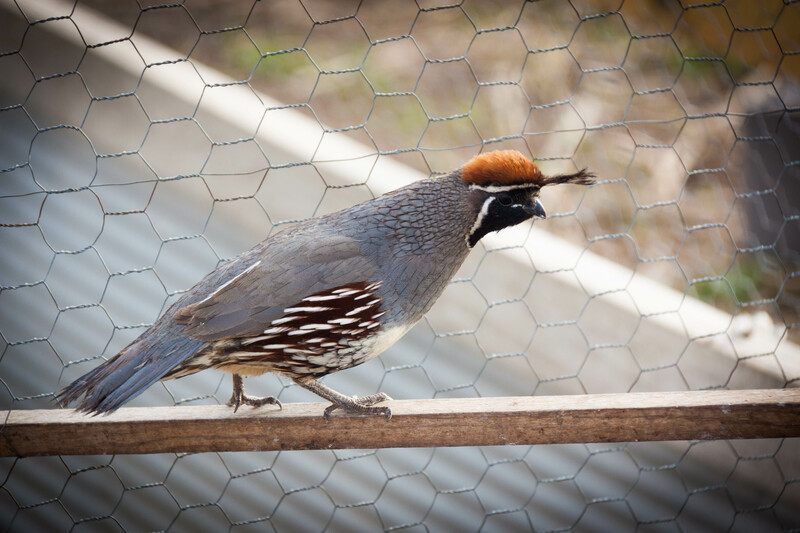 We sell two types of the Coturnix Quail: The Japanese Quail and the Italian Quail. 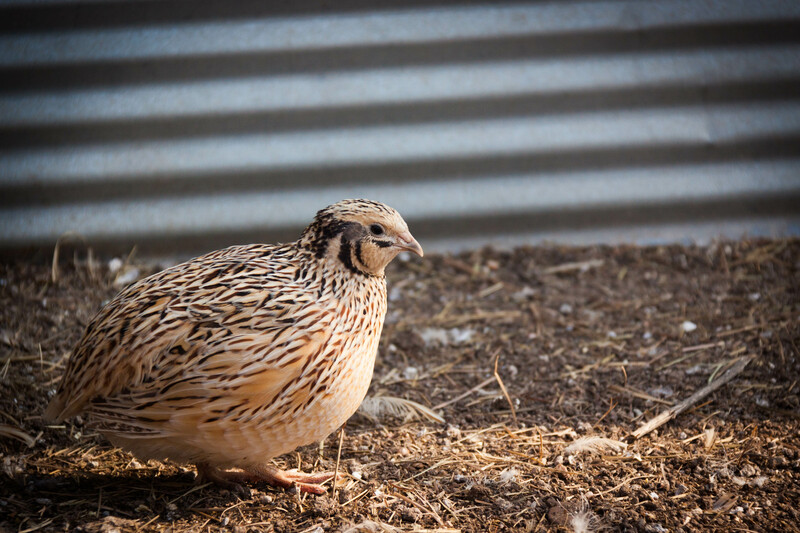 These birds are some of the least flight ready birds that we've ever produced, however they make the best eating bird of all the quail we have tasted. 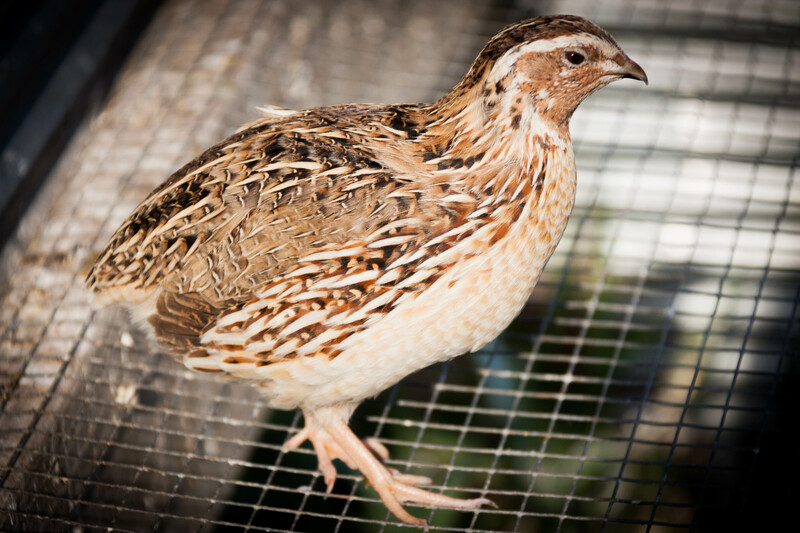 If you're looking for a processed quail for eating, the Coturnix quail are the way to go. 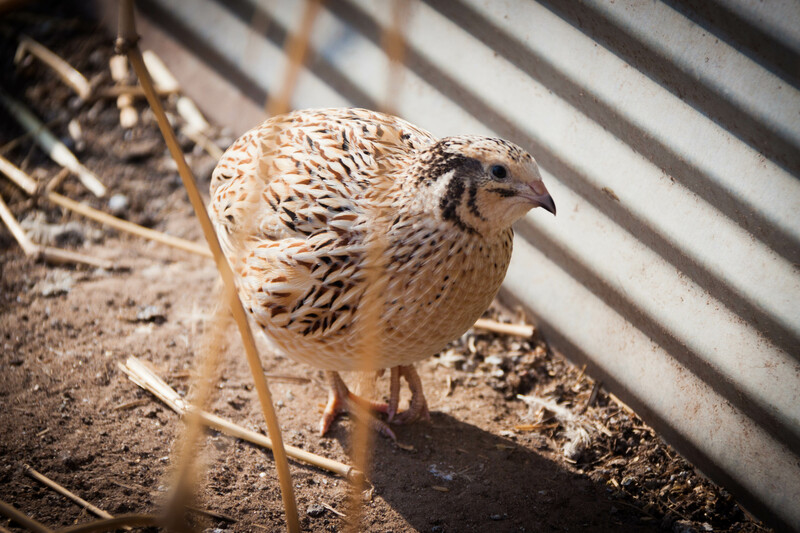 Plump and Juicy! 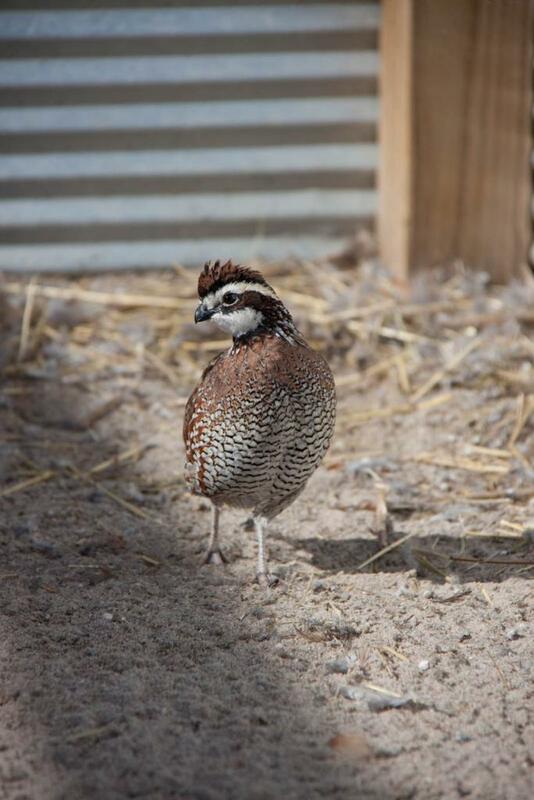 Don't get us wrong, the coturnix quail will fly, but they aren't as fast as the northern bobwhites and they don't usually fly as far coming straight from the farm. 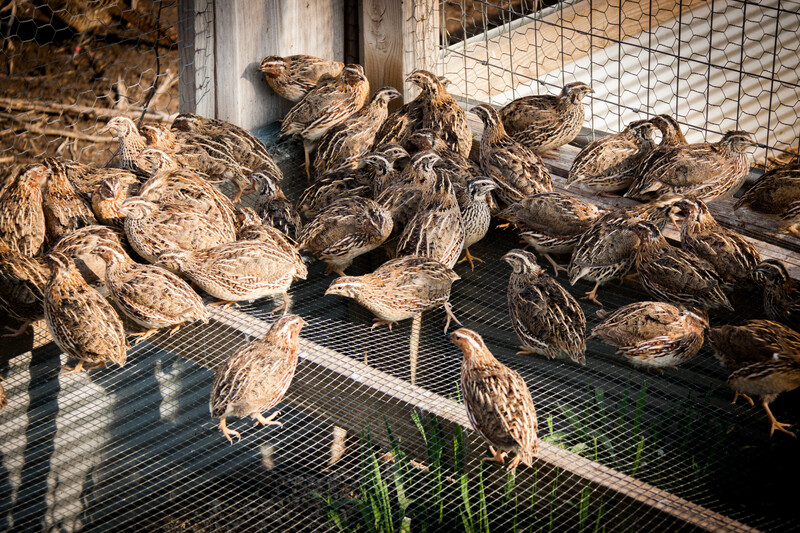 This makes the coturnix quail an excellent choice for training dogs and they are an absolute hoot for guided hunts because you actually get a chance to shoot before you blink and they're on the other side of the field... Once the coturnix have had a chance to live in the wild though, they turn into some very fast flying birds. 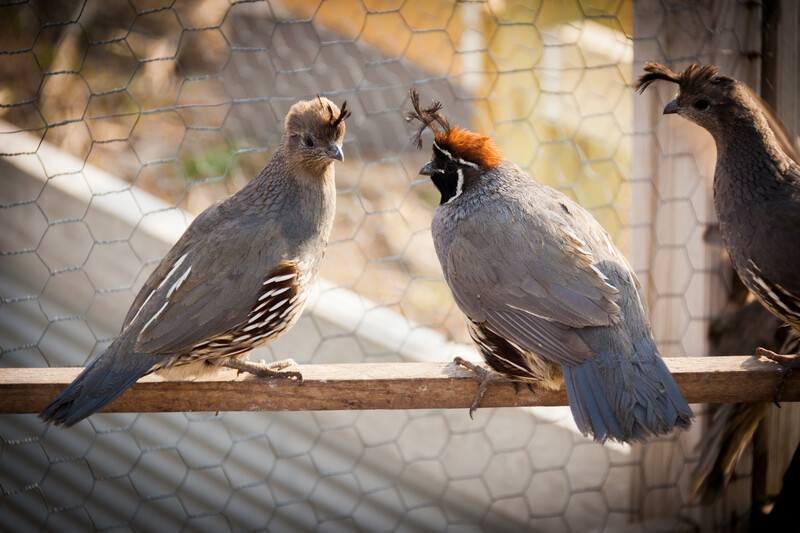 New in 2016, we offer the majestic and very fast Gambel quail. 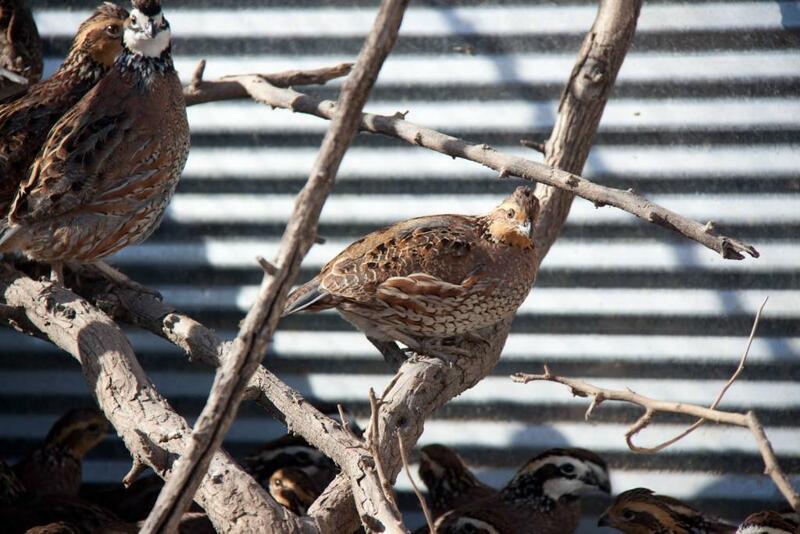 Not only are these quail a delight to look at, they are some of the fastest quail we've ever encountered. 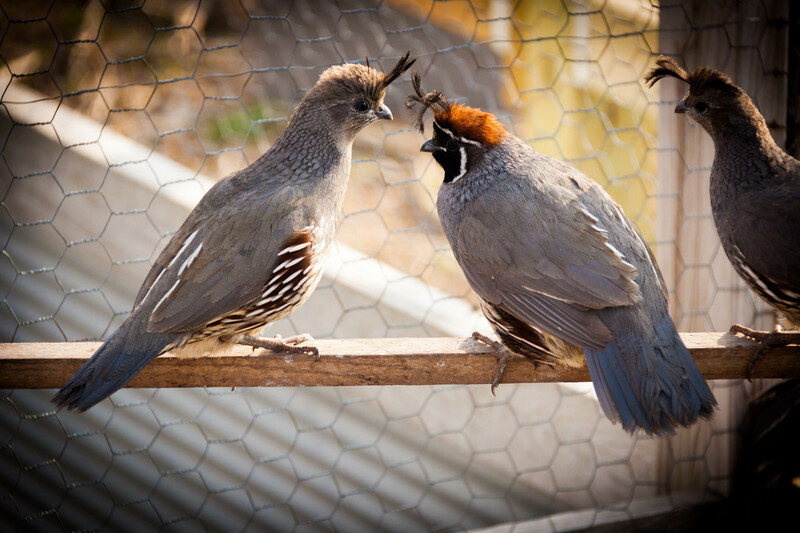 If a challenge is what you're looking for, the Gambel quail are the way to go. 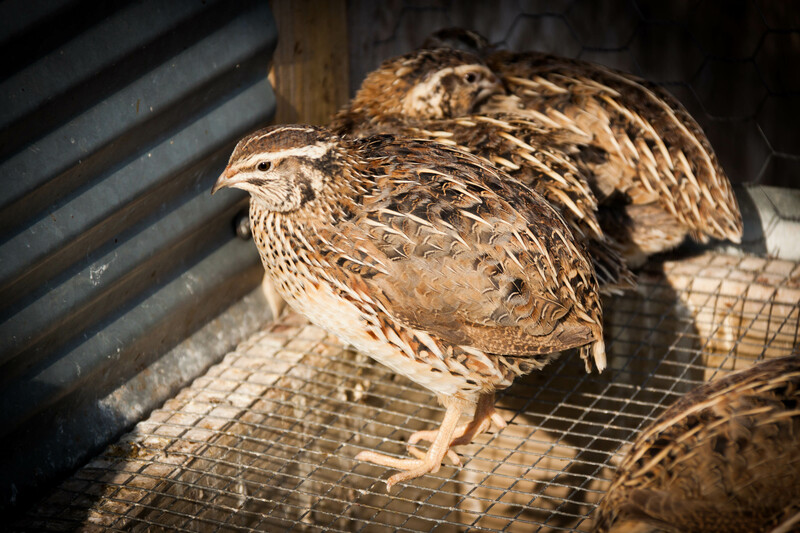 To find out how much our mature, flight ready quail sell for, please visit our Bird Prices page.